This early 18th Century threshing barn was in remarkably good condition given its age, with even the threshing boards and housing grooves still present. Several areas showed signs of remedial works and modern intervention, however much of the original fabric remained intact. The client was proposing to convert the barn into residential accommodation whilst aiming to retain as much of the ‘spirit’ of the barn as possible, especially as the interior was to be partially exposed on refurbishment. 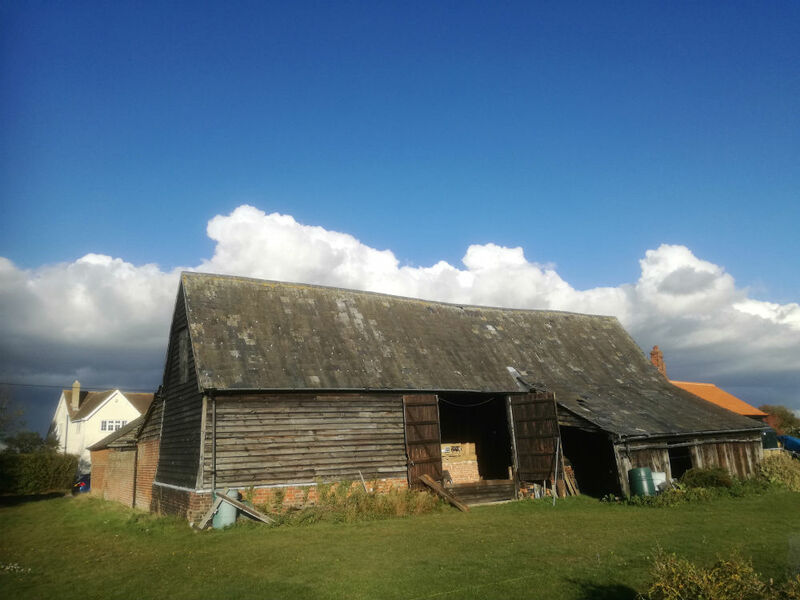 The barn investigation consisted of a detailed examination of the primary timber joints to assess their condition with particular regard to the intended future plans. Micro-drilling for decay and deep moisture content readings were part of the survey conducted, along with species identification of the main timber elements combined with visual strength grading to assess suitability for refurbishment. Detailed analysis of the primary joints provided information for the structural repairs required. Species identification revealed that the barns’ material build-up was a mixture of original Elm (Ulmus minor) and Oak (Quercus robur/petraea), alongside modern hardwood and softwood interventions. This enabled the H+R surveyors to produce marked-up CAD drawings highlighting the different species and approximate ages of intervention, helping to create a narrative of the building for both the client and structural engineer.